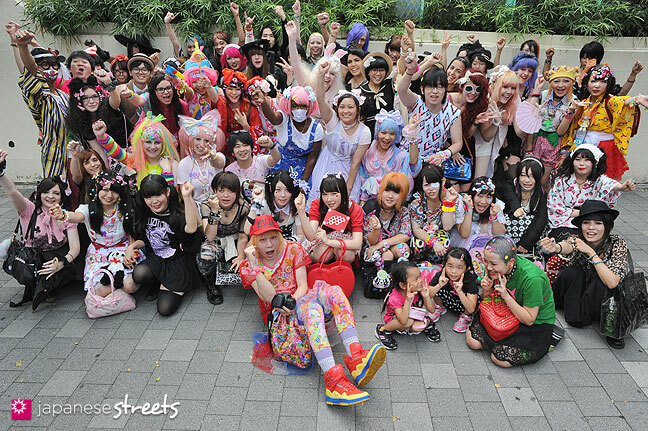 Sep 30 2013: This Sunday the 19th Harajuku Fashion Walk took place. The last one before a historical 20th walk in November! Kjeld Duits: @Christine: There is a walk this Sunday Nov 24. We leave at 14:00 from the Takeshita-dori Exit of JR Harajuku Station. Attendance is free. This Sunday’s walk is #20, so an important one! 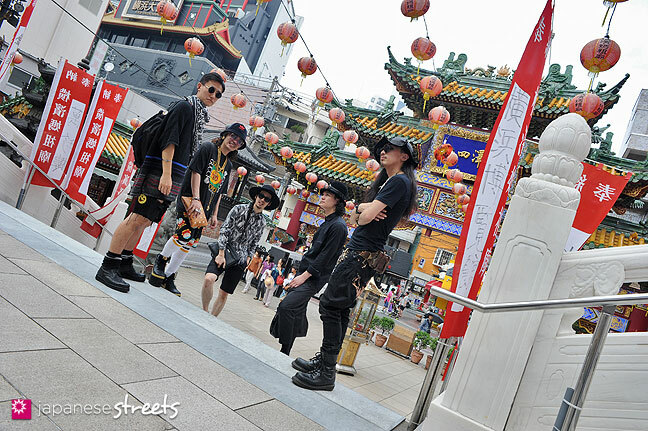 JAPANESE STREETS donated some funds for the celebration. Christine: What time is the walk and where abouts does it start? We are on holiday from Australia and would love to come along! Taigaxo: Wow~~!! I have fallen in love with this girl, this is absolutely stunning ^^ I wish I could pull off her look. Kjeld Duits: @All: Thanks for all the kind comments. I really like Shouhei’s work and Hirari does a great job modeling them, I think. Kjeld Duits: @Leah B.: Yes, that’s kind of an original take on the animal print design look, don’t you think? Leah B.: My God, that first photo makes me want a leopard maxi skirt really badly. 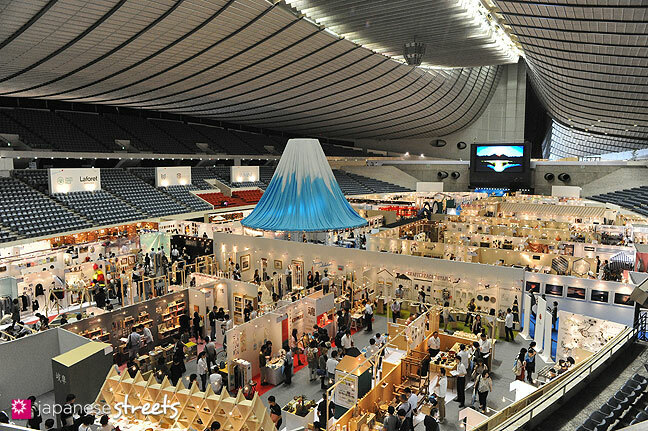 Misato: I’m loving these reports, to discover new and unusual Japanese fashion brands. Just a small correction, it’s Azzedine Alaïa. Kjeld Duits: @Kimi: It is quite an imaginative and daring project, I thought. 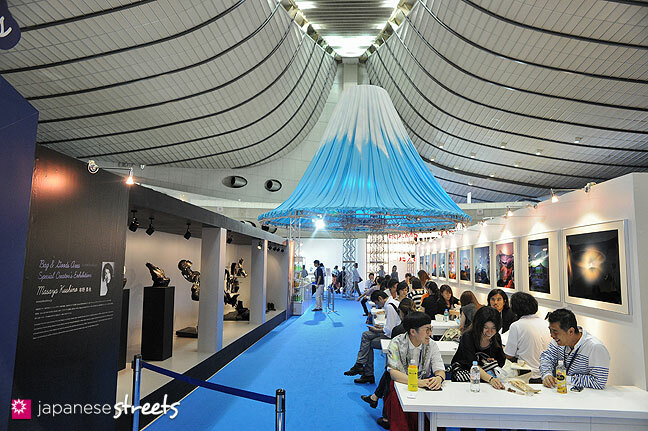 How many trade exhibitions would allow something like this. It shows the healthy respect for creativity the organizers have. And yes, we are extremely happy about the 2020 Tokyo Olympics! Kimi: Wow! Get your portrait drawn by an artist in a bath tub! LOL! Cool event. You must be excited about the Olympics, huh? Kjeld Duits: ＠Kimi: Good luck! MissMolly: Gorgeous photos! The food looks so delicious too! 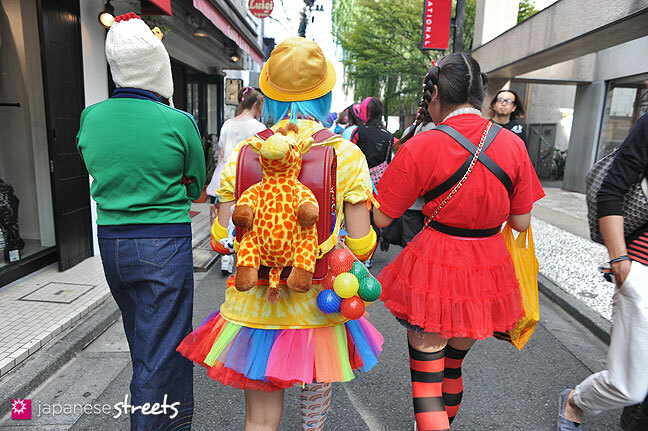 Jul 29 2013: The Harajuku Fashion Walk, with deep Japanese roots, is slowly becoming an international event. Kjeld Duits: @Zucchan: Glad you could join, Zucchan! Hope to see you at the next walks, too. Kjeld Duits: @Mika—mi: Good observation. 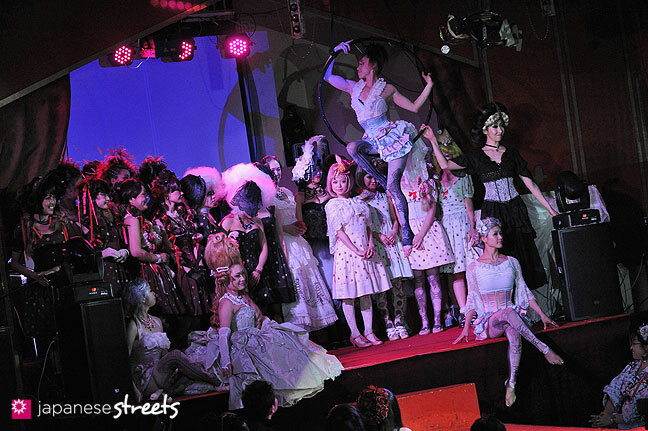 Here’s a list of all the performers (sorry for the Japanese): Coppelia Circus (紫ベビードール), Bee TinyTot, Jane, Tsugumi, jajyu, 街子, Tamaki, ギュノ (紫ベビードール), 玉虫, RITA, CAY (Tokyo Dolores), Aloe（Tokyo Dolores), jiLL (Tokyo Dolores), 莉奈 (しましまSPANK), もか (しましまSPANK), なつみ (しましまSPANK), ちゃん・すー (しましまSPANK), ガブリエル, ひなどり, エキゾチカ (Aural Vampire), ALK, yoko. Mika--mi: Beautiful photos. And the event must have been amazing! But isn’t that Exo-Chika from Aural Vampire in that long, light-green dress, with her blonde hair up? Or am I mistaken? Kimi: Yo! This must have been such an extravagant evening!